Buy from Amazon Australia HERE. I can’t believe I’m actually writing this letter, but your advice would be greatly appreciated. I’ve heard you’re the go-to person to help bring soulmates together and I hope you’ll be able to help me connect with mine. A psychic once told me my soulmate’s name begins with K, and I think I’ve found him. We’ve been working together as actors for six months, but his role’s more important and we hardly get a chance to speak together privately. Every time we pass each other at work, every time he smiles at me, every time we chat about the upcoming twists in the script, I feel so alive. I’ve never felt this strongly about anyone before, it’s like there’s an invisible cord connecting us. Should I wait for him to make the first move or take a risk and ask him out? The thing is; I don’t have much time. My contract will be up in a few weeks. I’ll have to find another job and I don’t want to waste the time I have left. How can I show my interest without looking desperate and blending in with the other women falling at his feet? And do you agree with the psychic – does my soulmate’s name begin with a K? Thank you for having the courage to write your letter and faith in me to guide you toward the love you deserve. Firstly, you must believe yourself worthy of true love, and treat yourself with the respect you would want another to treat you with. Don’t settle for second best, don’t put yourself down, and don’t sacrifice your deepest desires to please another. All happy relationships come from a happy relationship with oneself. In answer to your question about whether to ask K out, I feel if you choose to do so you would be met with a ‘yes’, but I also feel it is best to hold off. I believe a proposition is coming your way very soon, and you need to remain open and aware of ALL possibilities. My advice is to put yourself out there and don’t be afraid of judgment or rejection. Be proactive about seeking other work and trust that in good time all things will conspire in your favor. True love is on its way, but you need to listen to and trust your intuition. It will lead you in the right direction. Also remember: you will know you are with your soulmate when you can simply be yourself. Your soulmate will bring the best out in you. They will enhance the beauty and uniqueness already there. True love will make you feel like the best version of yourself is shining bright. P.S. Your psychic was right. Your soulmate’s name does begin with the letter K.
Lulu clicked ‘send’ and smiled. She opened a new message window, filled in the details of her mission, and sent it to New Angel HQ on Cloud Eight and Three Quarters. If this and subsequent missions went well, she’d be upgraded to Cloud Nine in no time. Lulu rubbed her hands together as her red laptop hummed softly. Bringing soulmates together would be so rewarding and she was excited about her first day on the job. Even more excited knowing that one day, if she proved herself capable; she’d join the graduates on Cloud Nine and be responsible for saving people’s lives when death tried to take them before their time. For now, though, she needed to practice her skills and do her best to help destiny get things right in the love department. Buy from other retailers HERE. 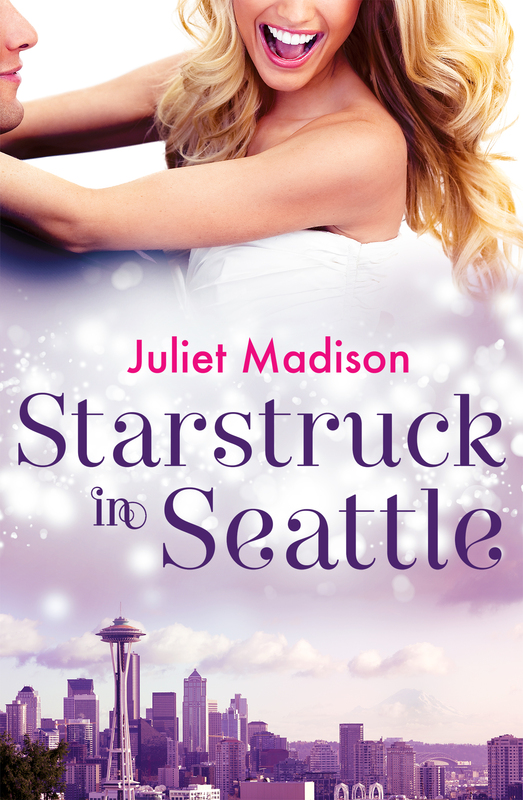 Posted on March 1, 2015, in Announcements, Books, Excerpts and tagged novella, romagic comedy, sleepless in seattle, starstruck in seattle. Bookmark the permalink. 2 Comments. Sounds like a fun story. Can’t wait to read it!